Martin Roll: "Darlings & Dragons: How China & Asia Reshape The World"
Martin Roll was invited by the President of BI Norwegian Business School in Oslo (Norway) to speak on “Darlings & Dragons: How China & Asia Reshape The Global World” on Thursday 26 October 2017. The exclusive event presented insights and perspectives on how China and Asia increasingly will influence the global world, and what business leaders must do to cope with the significant changes ahead to stay agile and competitive. Next generation leadership is about leading in the most turbulent of times, and successful next generation leaders will be masters of change and resilience. Leadership in the 21st century will be influenced by constant change, geopolitical volatility, technological disruptions, and economic and political uncertainty. Mastering and staying on the top of these major forces of change will be the defining characteristics of next generation leaders. The success of next generation leaders will be defined by their ability and willingness to drive a powerful transition agenda: Daring, Bold & Different. Next generation leaders will have to successfully cope with Darlings & Dragons. Martin Roll provided advise on how to lead effectively across the future paradigm with a rising and more assertive Asia and China. He recommended to partner and co-create with Darlings, and make them ones closest allies, and to learn from & monitor (closely) the Dragons – knowing they will become ones biggest lifetime challenge. As Rudyard Kipling (1891) was quoted saying: “Asia is not going to be civilized after the methods of the West. There is too much Asia, and she is too old”. Martin Roll is a world-renowned thought-leader, CEO mentor and advisor to Fortune 100 and prominent business families on the most important issues in managing successful global businesses and exercising great leadership. 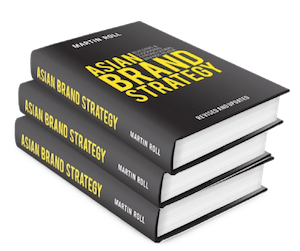 Martin Roll delivers the combined value of an experienced global business strategist, senior advisor and facilitator to Fortune 500 companies, Asian firms and global family-owned businesses on how to build and manage strong, global brands as well as leadership of high-performing, marketing-oriented businesses. He has more than 25 years of C-suite management experience. “President invites” is a series of lectures at BI Norwegian Business School where President Inge Jan Henjesand invites senior executives in Norwegian and global business and politics to speak to students and BI alumni.